IPOW 2 Pack Patella Knee Straps offer the best patella knee support which ensures a safer working out. It provides proper strength to stabilize the knee. No more worry when jumping. 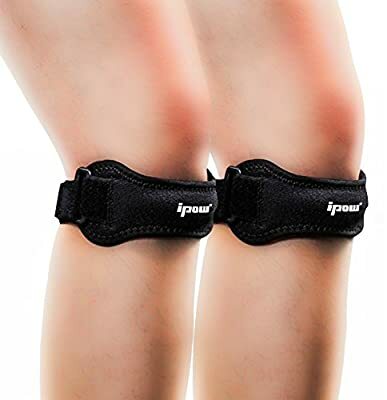 What kind of exercise is this knee patella brace suitable for? ?CONTACT US if it doesn't fit you well or you just simply don't like it. All issues will be solved within 24 hours. ?Click the "ADD TO CART" Button to Receive Our Knee Strap and get relief from the knee pain!